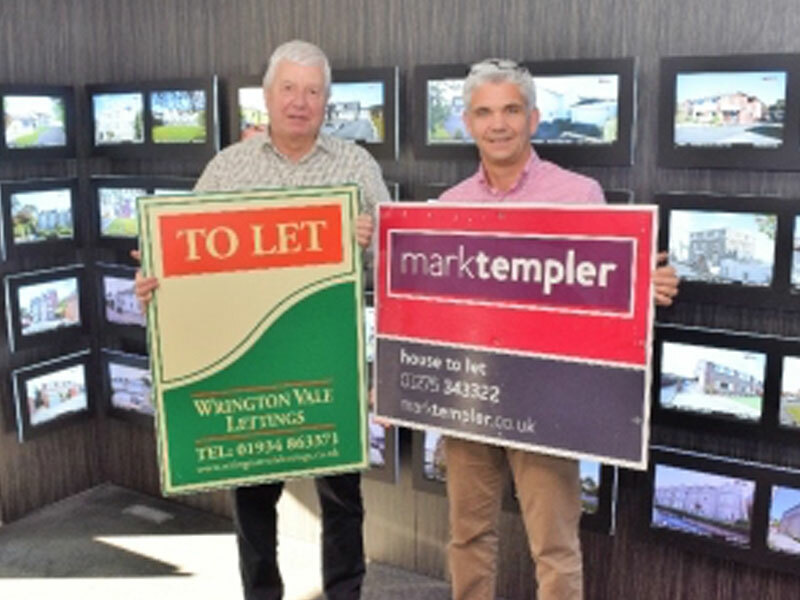 Mark Templer Residential, the well-respected residential sales and lettings agency with offices in Clevedon and Yatton, has acquired Wrington Vale Lettings. Husband and wife team, John and Vanessa Webb with business partner Karen Morgan founded Wrington Vale Lettings almost a decade ago. During that time, the agency built a solid portfolio of rental properties with a bank of loyal landlords. When the Webb’s decided to retire, Mark Templer Residential Lettings was their first and ideal choice of agency to take over the business they had worked so hard to build. A few weeks on and the acquisition is complete, adding to Mark Templer Residential Lettings’ substantial lettings portfolio and firmly cementing its position as one of the leading letting agents in North Somerset. Established almost a quarter of a century, Mark Templer Residential has two prominent offices on Kenn Road in Clevedon – one handling residential sales and the other taking care of letting and property management. A third office, closely situated to Wrington, in Yatton offers residential sales and lettings. Mark Templer Residential sells and lets homes throughout North Somerset. The agency’s unique selling point is the energy and professionalism the team puts into helping their selling, buying, renting and letting clients, promptly and efficiently handling every detail. The eight-strong team of dedicated lettings professionals at Mark Templer Residential Lettings & Property Management offer a Tenant Find as well as a Full Management Service for their landlords. The agency is regarded in exceptionally high esteem by its clients with 100% rating the team as ‘good’ or ‘brilliant’ at finding quality new tenants quickly, sending rent payments promptly and generally being reliable, sincere, professional, knowledgeable and pleasant to deal with. The statistics are all published on the web site along with a great number of fantastic client testaments. For client’s reassurance, Mark Templer Residential is a member of ARLA (the Association of Residential Lettings Agents), the NAEA (National Association of Estate Agents) and The Property Ombudsman Scheme, abiding by their strict codes of conduct. The Mark Templer Residential offices are also part of the Experts in Property network of around 80 Westcountry independent estate agencies, all working together to reach more buyers and tenants. Mark Templer Residential also values its community and supports local charities including Children’s Hospice South West.